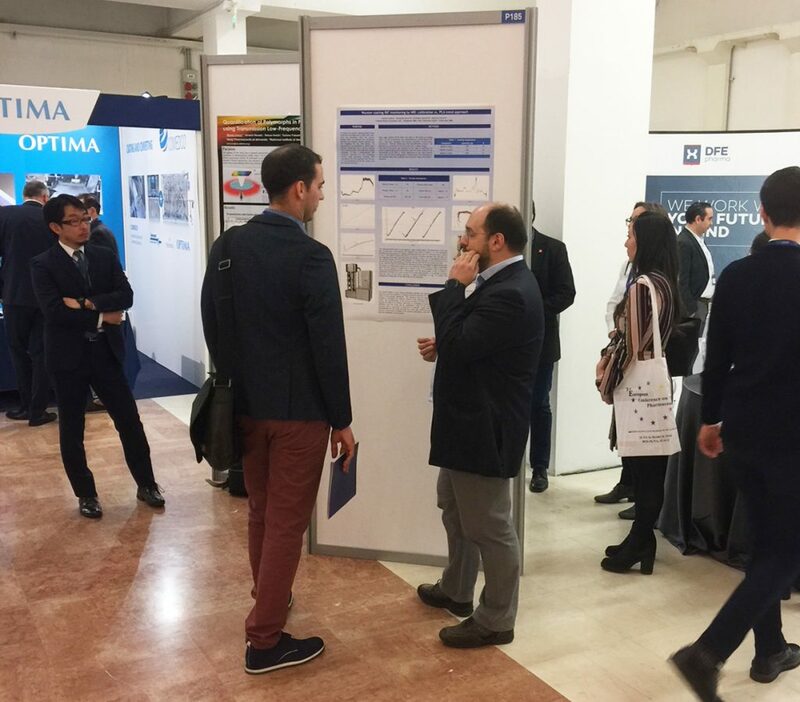 The 3rd European Pharma Congress was held in Bologna Italy, March 25-26, 2019. The European Conferences on Pharmaceutics is helping bridge the gap between fundamental academic research and industrial applications. It offers the opportunity to initiate fruitful exchange and cooperation between university and industry for young and well established scientists from all over the world to present their work, network, discuss newest scientific findings and to share their experience with colleagues. Freund-Vector’s Andrea Gelain, Process Development Scientist, presented a poster entitled, “Wurster Coating PAT Monitoring by NIR: Calibration vs PCA Trend Approach”. The poster showed the Wurster coating process trend using NIR technology to determine real-time deviations from the correct process path. Fig. 6 (below), shows a comparison between the scores of the PCA’s of the three batches, it is possible to notice that the trend of the three processes is highly comparable. 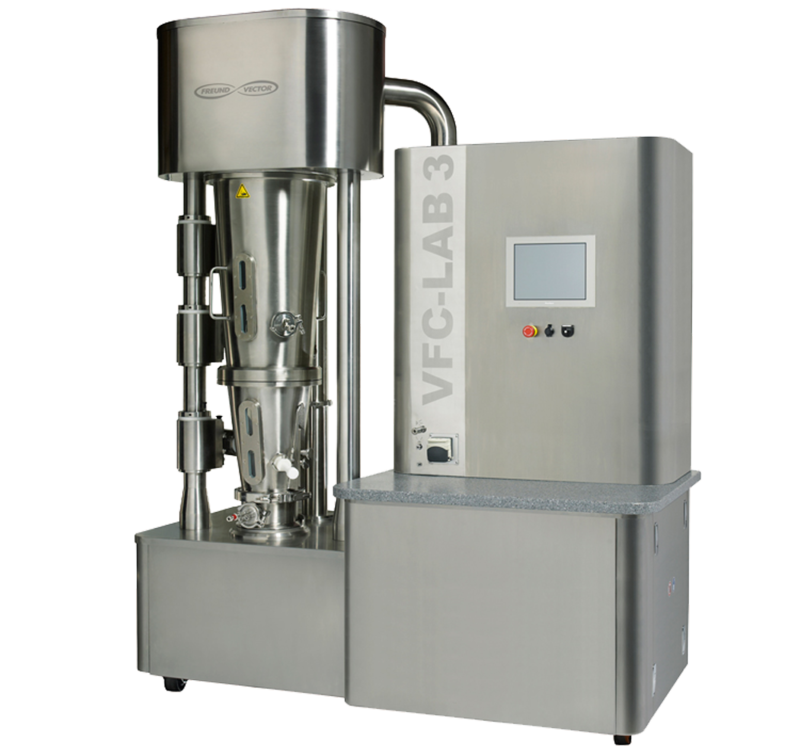 The equipment used was a Freund-Vector VFC Lab 3 fluid bed equipped with a Wurster partition, a Freund-Vector Accelerator 1 diverter system and a Viavi MicroNIR PAT-U. Installation configuration of the NIR probe on the fliud bed. 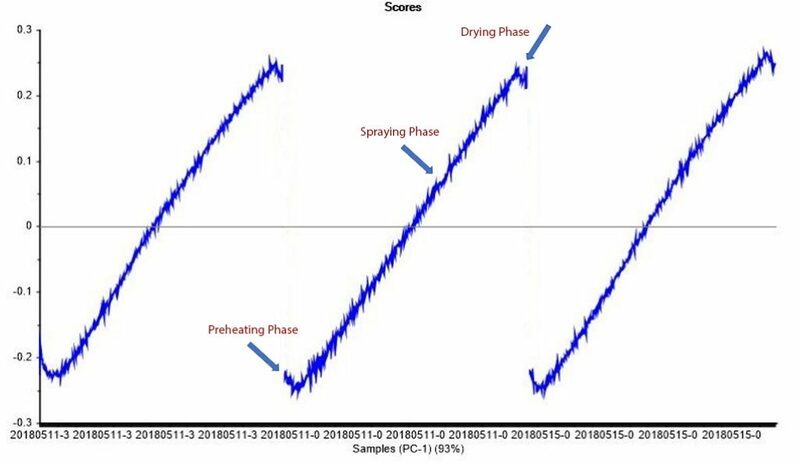 Andrea’s conclusion shows a very strong correlation between the absorbance read by the NIR instrument and the quantity of coating suspension sprayed. 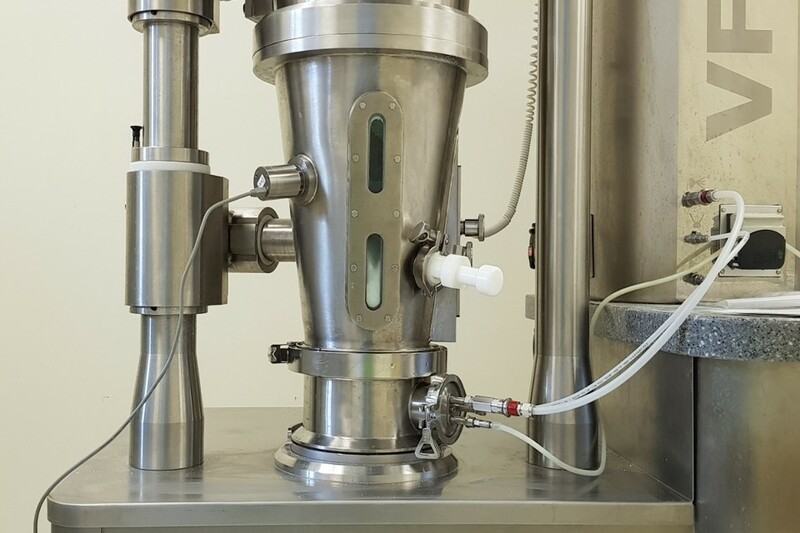 The reproducibility of the process in terms of trend can allow a process control without the need of a constant calibration. To review this research paper in greater detail, you can download it on Freud-Vector’s Sharepoint Showcase page. This entry was tagged Flo-Coater: Fluid Bed, Wurster Technology. Bookmark the permalink.